Gorgeous red velvet fudge topped with crushed peppermints is the perfect way to ring in the holiday season! 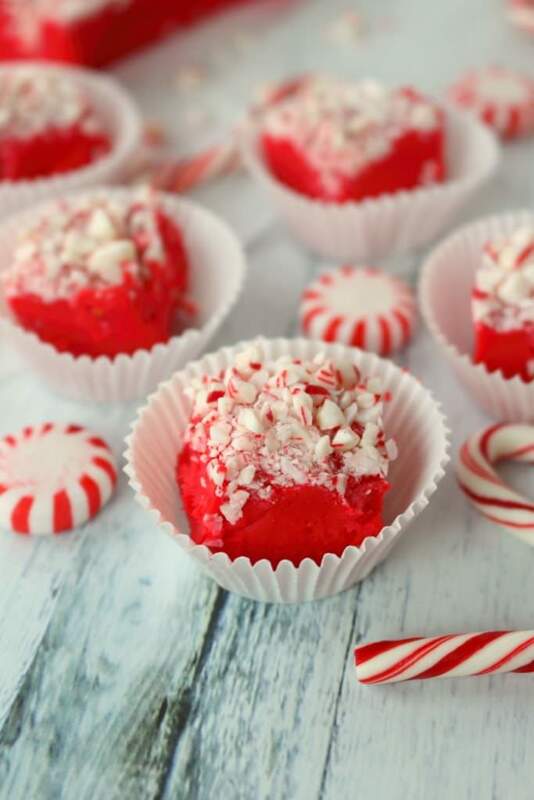 This delicious peppermint fudge recipe is perfect for your holiday candy trays, cookie exchanges and Christmas parties! 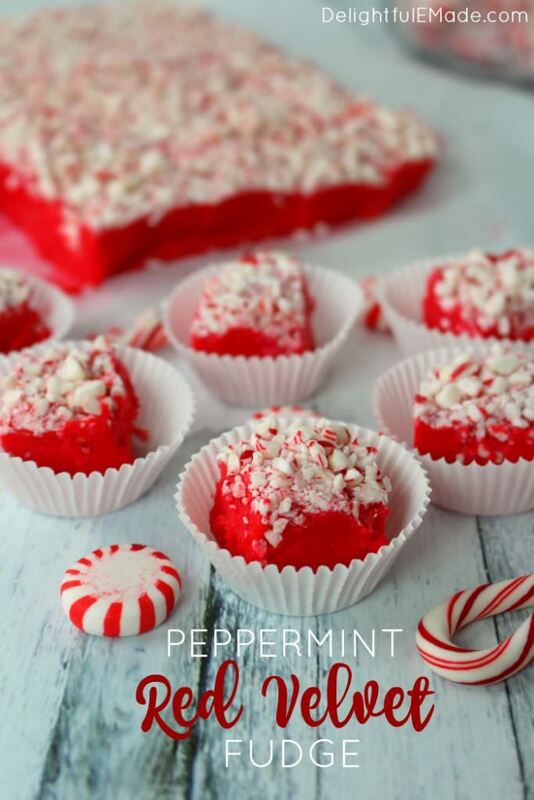 As a kid, I helped my mom make loads of Christmas cookie and candies like this peppermint fudge recipe in the weeks leading up to Christmas. The types of sweets varied year to year, but the one thing that we always made was fudge! Typically the traditional chocolate type with walnuts, but we got more adventurous with peanut butter fudge, and even made our way into chocolate mint territory. 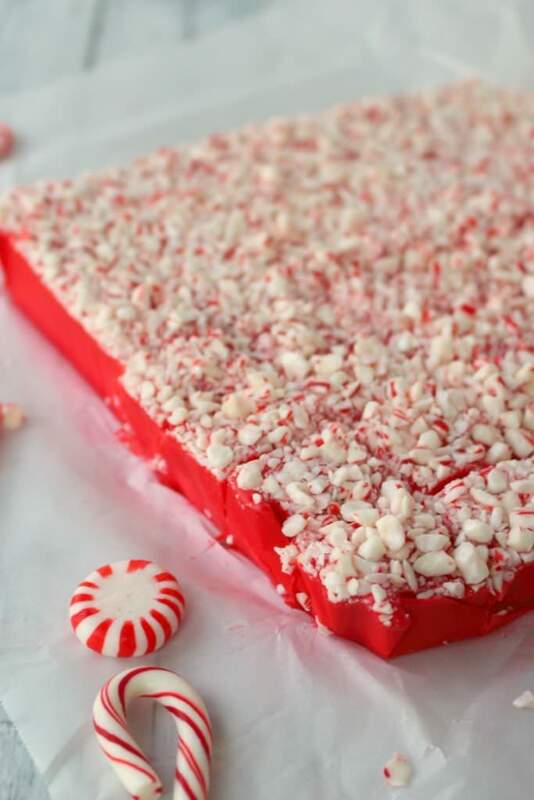 Mom and I never made this Peppermint Red Velvet Fudge recipe together, but I think it would have been perfect on her stunning Christmas cookie and candy platters. 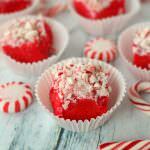 This Peppermint Red Velvet Fudge is a Microwave Fudge Recipe! 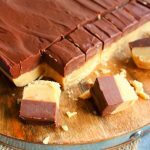 This fudge is not only pretty and delicious, but it is super-simple to make and definitely simplifies the fudge-making process. It is a microwave version, meaning there is no stove-top cooking or candy thermometers. This fudge starts with white chocolate chips, and just a few other simple ingredients that you likely already have in your pantry. 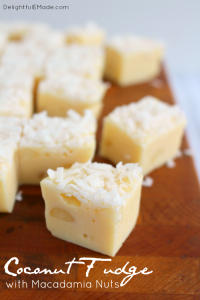 You’ll begin by melting white chocolate chips, sweetened condensed milk and butter together in the microwave. Microwave in 1-minute increments and stir after each minute. Once the mixture becomes melted and smooth you can move to the next step. Once all of the white chocolate chips are completely melted and smooth, you’ll add in peppermint extract and red gel food coloring. 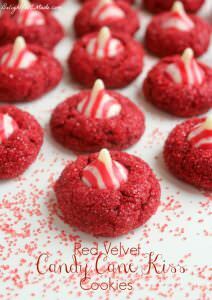 Don’t be shy with the food coloring – to achieve this bright red velvet color you’ll need a full 1-oz. bottle. Continue to stir until the color has incorporated into the mixture completely. From here you’ll pour the red velvet fudge into a 9 x 9″ pan that has been lined and sprayed. FYI – prep your pan before you begin melting the fudge. 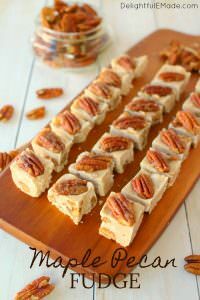 Having the pan lined with either parchment paper, waxed paper or aluminum foil and lightly sprayed with non-stick baking spray will help remove the fudge from the pan when your ready to cut. Once you’ve poured the fudge into the prepared pan, made sure to smooth it evenly into the pan. Then, top the fudge with lots of crushed peppermints or candy canes. 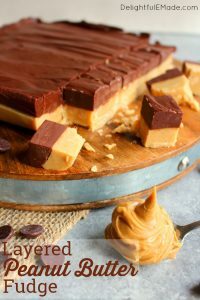 This makes for a really beautiful finish, and adds a wonderful peppermint crunch to the creamy fudge below. I actually crushed a package of peppermint candies right in my food processor, which made it pretty quick and easy. If you don’t have a food processor, simply placing the candies in a zip-lock back and crushing with a rolling pin or meat tenderizer works just as well. Once you’ve added the crushed peppermints to the top of the fudge. 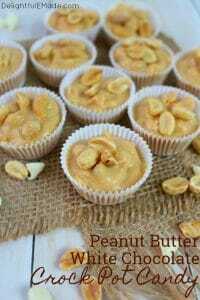 Refrigerate for at least 2 hours or overnight. You will want the fudge to be very cold and set before cutting. When you’re ready to cut the fudge, lift it out of the pan by the parchment paper or aluminum foil. Place on a cutting board, and with a very sharp knife, cut into 1″ squares. It is helpful to rinse your knife with hot water when going through a line. As the fudge comes to room temperature, it tends to get a bit sticky. I like serving the fudge in these simple mini-muffin liners. They’re great for keeping fingers from getting overly sticky, and look quite pretty on a serving tray. 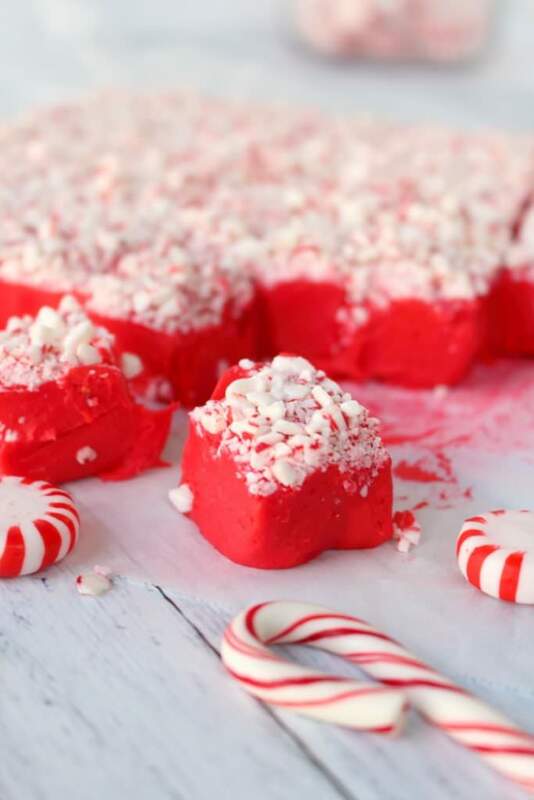 This fudge is fantastic served and garnished with extra peppermints and candy canes, and add some wonderful holiday color to any party or Christmas gathering. If you loved this fun and colorful red velvet fudge, you should check out my Peppermint Crunch Fudge over at Real Housemoms! Over the years Mom has cut back on her holiday baking and candy making (its quite a bit of work making 8 different types of candies! ), but those sugary-sweet memories remain. This fun holiday memory inspired me to make a Christmas candy that was worthy of Mom’s beautiful sterling silver candy platter. 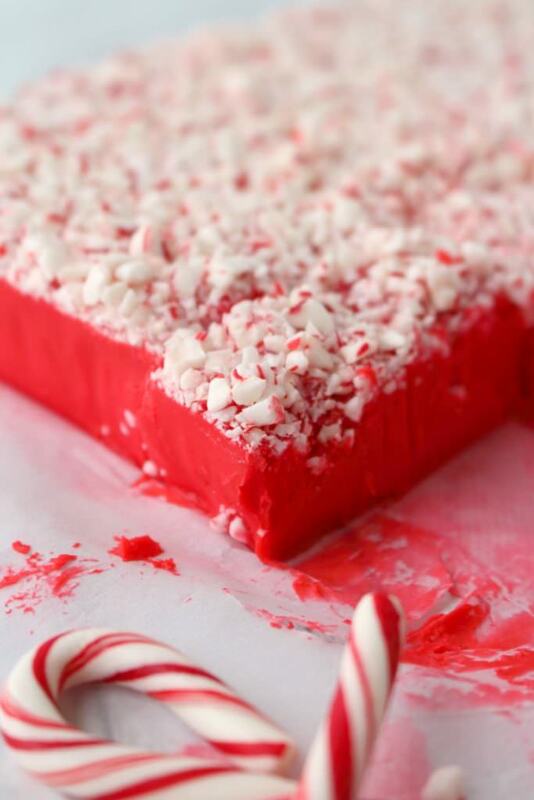 I definitely think this Peppermint Red Velvet Fudge would be the perfect addition! 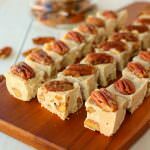 Refrigerate or freeze fudge until ready to serve. As the fudge comes to room temperature it can become sticky. It is helpful to serve the fudge in mini-muffin liners. Line a 9 x 9" square pan with parchment paper or aluminum foil. Lightly spray with non-stick baking spray. Set aside. 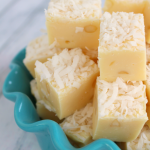 In a microwave safe bowl, add the white chocolate chips, sweetened condensed milk and butter. Microwave on high for 1 minute increments, stopping to stir. Continue to melt and stir. When chips are completely melted, add the peppermint extract and food coloring. 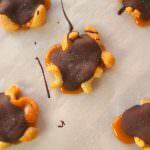 Stir thoroughly until fudge is completely smooth and color is evenly distributed. Pour fudge into prepared pan and spread evenly. Top with the crushed peppermints. Refrigerate for 2-4 hours. Cut with a sharp knife into 1" squares. Will make approximately 48 squares. NOTE: Refrigerate or freeze fudge until ready to serve. As the fudge comes to room temperature it can become sticky. It is helpful to serve the fudge in mini-muffin liners. What a delicious combination! 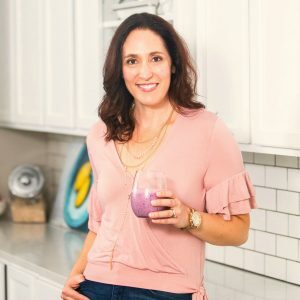 Thanks for sharing on the What's for Dinner link up - Would love to have you give us a comment at the party! This fudge is so striking! 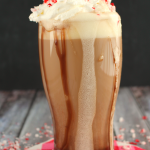 I LOVE the vibrant red color :) Definitely a Christmas recipe that needs to be made in our home and shared with those we love! Looks festive and decadent. Thank you for linking with us at #HomeMattersParty . Happy Holidays :) We would love to have you again once the party starts next year on Jan 6. 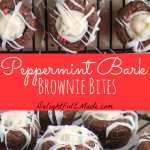 Christmas always brings out the delicious peppermint treats!! I love these! Thanks for sharing at the What's for Dinner party!